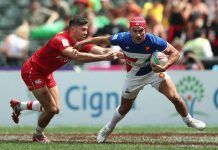 The World Rugby Council has unanimously decided to adopt into law the complete package of 12 law amendments that are currently under global trial. Approval follows a recommendation by the Rugby Committee after comprehensive evaluation of trial performance from playing, coaching, match officiating, fan and player welfare perspectives by the specialist 15s Laws Review Group (LRG). With the global law trials having operated since August in the northern hemisphere and January in the southern hemisphere, there is no material on-field impact and amendments will be codified within law immediate effect. World Rugby undertakes a four-year law review process with the principle objective of simplification for players, coaches, referees and fans, while also promoting player welfare initiatives. The current process began in 2015 with more than 140 union submissions for potential amendments in line with this criteria. 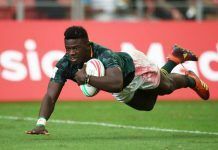 Implementation more than a year out from Rugby World Cup 2019 means that players will have been operating under the laws for more than two years prior to the tournament. For the first time the global trial evaluation included feedback from more than 10,000 players, coaches, match officials and fans via a social media survey. The feedback regarding the on-field and off-field experience of the 12 law amendments was overwhelmingly positive.